Representing the customer's voice in financial services. Fairer Finance’s mission is to create a financial services market which is fair for consumers as well as the companies that serve them. To achieve that goal, we regularly engage with regulators, government and industry bodies helping to influence and shape new pieces of legislation and regulation. We respond to as many key consultations as we can, and regularly share our views at industry events, as well as through the media. We are engaged with the Treasury, FCA, CMA and funeral plan industry to create better protection and clarity for consumers in this market. We've been feeding into the FCA’s work on the implementation of the Insurance Distribution Directive and the publication of its insurance value measures. Working alongside a panel of experts to consider the impact of Brexit on consumers. Working to ensure consumers' interests are represented in this important project, which will allow customers' personal banking data to be used by third party software providers – facilitating more effective comparison and efficient money management. Engaging with the CMA on its work around the comparison site market. We are strategic supporters of the Transparency Taskforce, and James Daley is one of the organisation's ambassadors. We are a member of the independent Access to Cash panel, considering how we continue to protect access to cash for those who rely on it, as cash usage declines. The panel is chaired by former head of the Financial Ombudsman Service, Natalie Ceeney. 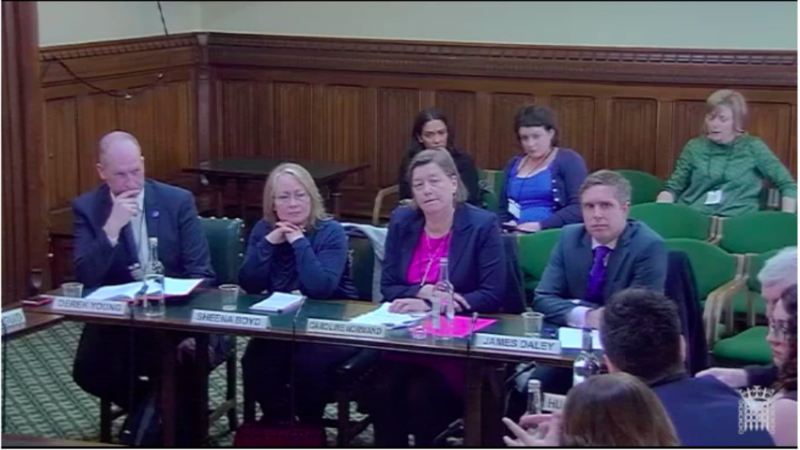 Fairer Finance's managing director gave evidence to the Scottish Affairs Select Committee, feeding in the findings of the Access to Cash Review into the Committee's Access to Financial Services Inquiry in March 2019 (see image, right). The Protection Review conference on making protection relevant for millennials. If you'd be interested in a Fairer Finance representative speaking at your event, or you'd like to talk to us about work in the policy space, please email fairerfinance@fairerfinance.com or call us on 020 3026 8541. Sign up to hear more about our work.